Come the dawn, come the call, come the beating air. Read more "Christmas for the keen gardener is a celebration of the solstice by other means"
I know, obvious, right? You'd think. Read more "If you're using version control you should also use more than one branch"
I'm really proud of it but explaining it does make it sound pretty much ridiculous. Read more "My own e-book of silly poems"
It's not quite an "undo" or "back" button, but it provides you with the information to do that yourself. Read more "The reflog is git's breadcrumb trail, leading you back home"
Just who was that masked app? Read more "The mystery of the fast-discharging, barely used Android phone battery"
The temptation is always strong to come up with a feature whose name ends in _other or _misc. 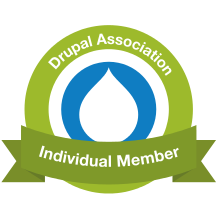 Read more "Splitting up your Drupal features thematically"
If the development team consists of literally just you and the cat—and you're not convinced the cat is hitting its project milestones—then ignore all this and go wild. Read more "Adapting version-control branching workflows to aid productivity"
Overwintering, of course, means that the season never really stops. But I do. Golly, I'm exhausted! Read more "Review of this gardening season"